Put your Sea Kayaking skills into practice with a scenic day trip. Explore secret passages between rocky islands, Paddle into huge sea caves, relax on a remote sandy beach for lunch. We will pass on tips to help improve your paddling. We can explore the islands of Inchcolm, Oxcars and and Inch Mickery with the chance of visiting the historic buildings of St Colm's Abbey and the fortifications used during the world wars. 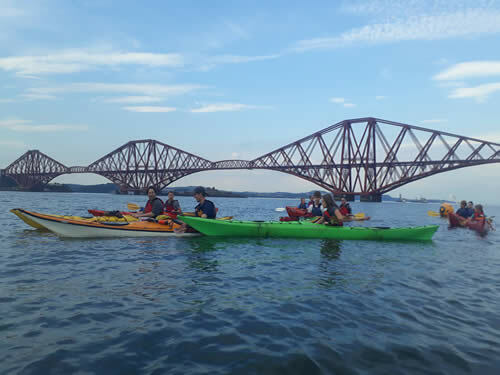 This full day trips takes in the inner islands of Fife's coasline as well as a journey under the famous Forth Bridges. Tide and wind are big factors for this trip and so the order of the day will change to suit the conditions. 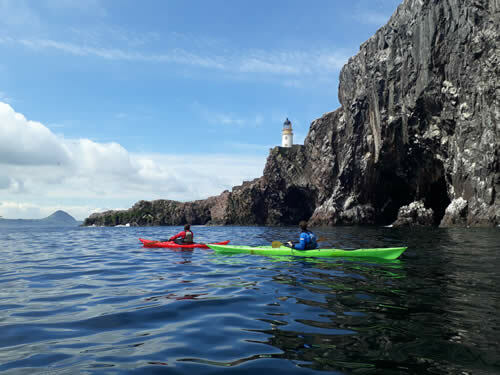 We can paddle around the islands of Craigleith, Lamb, Fidra tor he world famous Bass Rock, the largest single rock gannet colony. 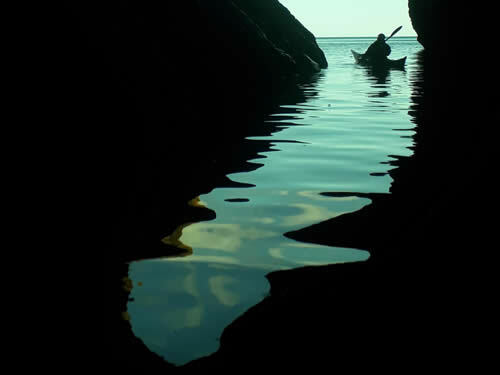 We can pass under historic Tantallon Castle and paddle into the smallest harbour in Scotland. 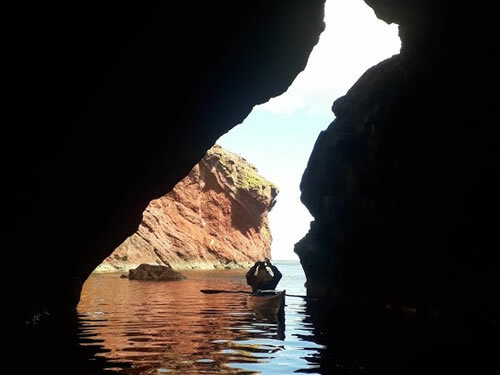 From St. Abbs Head we will paddle along the rocky outcrop, exploring sea caves and dancing around the rocks.